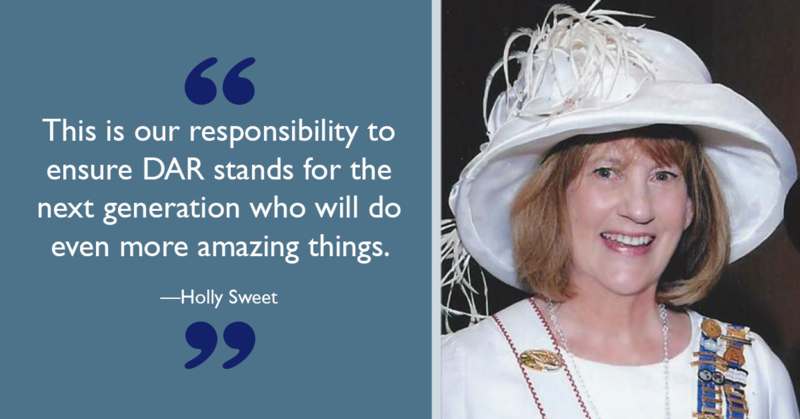 A gift to the National Society Daughters of the American Revolution in your will or living trust is a simple, flexible and versatile way to provide for our future. Known as a charitable bequest, a gift through your will also provides tax benefits. Your circumstances may change and you can change your gift at any time. Your gift can be made as a percentage of your estate or you can give a specific amount of cash, securities or property. After your lifetime, NSDAR receives your gift. I, [name], of [city, state ZIP], give, devise and bequeath to the National Society Daughters of the American Revolution [written amount or percentage of the estate or description of property] for its unrestricted use and purpose. 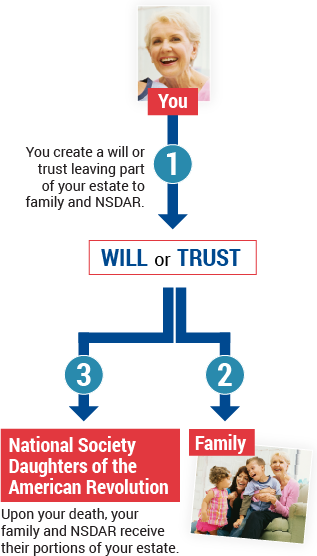 Contact the Office of Development at (800) 449-1776 or giftplanning@dar.org with any questions about naming NSDAR in your will or living trust. We are happy to help, without obligation.